The 91 “SS” was born in 2009 as my 95 Z26 was losing its fight with rust. I had daily driven the 95 for 6 years and wanted to reuse a lot of the mods it had gathered along the way. 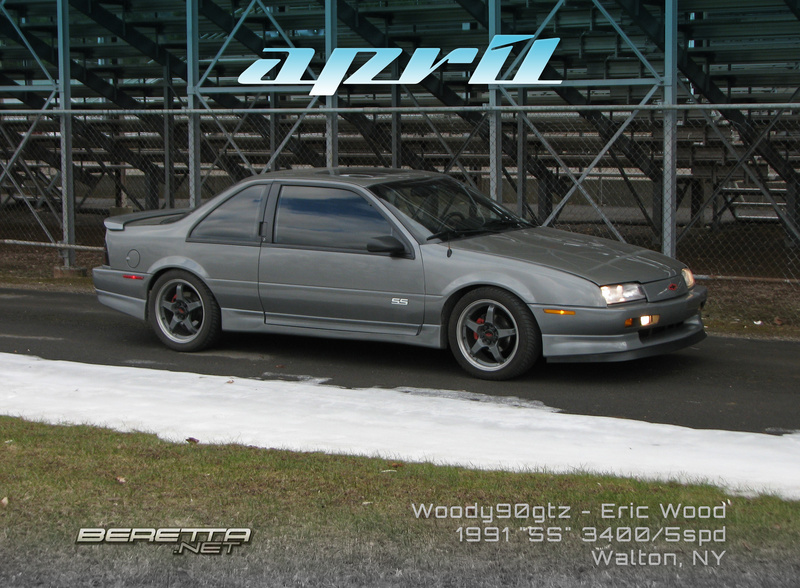 My Z26 was my second Beretta…I owned a 90 GTZ as my first car. So it was only fitting to replace it with another Beretta. Shane (another Bnet member) was selling his rust-free 91 sans engine so I made the drive out to Rochester and hauled it back home to save it from the scrapper. Over the next 6 months the car was torn down to a bare shell and restored with OEM-looking mods. I tried to combine the best aspects of both my previous Berettas to make a “Super Sport” the General should have created long before I did: V6 power, manual trans, limited slip, better brakes, wider tires, bigger wheels, heavier suspension and leather interior. It has great street manners and runs respectable numbers at the drag strip (14.46 best yet with a goal of 13.99). I think it lives up to the Chevrolet “SS” heritage quite well. It was a lot of work and took longer than expected, but the results were worth it. It even prompted me to buy a winter beater to the 91 from meeting the same fate as the 95. I just got back to driving it after almost a 2-year hiatus due to drag strip carnage, but it didn’t take long to remember why I love this car.